One of the chores in my home that seems to be never-ending, is laundry. I feel like I’m doing laundry every day. 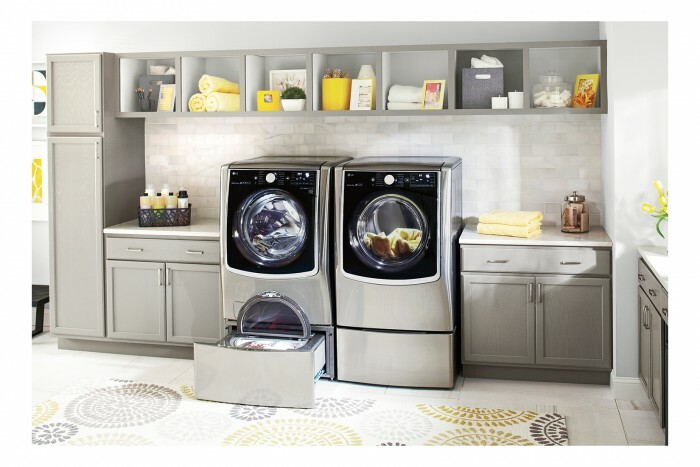 With the LG front-loading laundry system from Best Buy, my days of pile high laundry will be a thing of the past. Front loading washers clean better because the wash motion is more effective. The mechanical action of a front-loading washer is better than a top loading washer, so as long as you use a good laundry detergent and right water temperature, you will get cleaner clothes. Front-loaders use about 5 gallons of water per cycle less than top-loaders. That comes to approximately 2,000 gallons per year. That’s a nice savings on your water bill each year. Because of their faster spin cycles, front-loaders spin more water out of your clothes so they don’t have to spend as much time in the dyer. This ultimately saves on electricity. So not only are you spending less time on laundry, but saving on your electric bill, too. Front-load laundry systems are more gentle on clothing which results in your clothes lasting longer. The LG Front Load Laundry systems from Best Buy are sidekick compatible, which means you can do 2 loads of laundry at the same time. THIS makes me very happy! I can spend less days a week doing laundry. 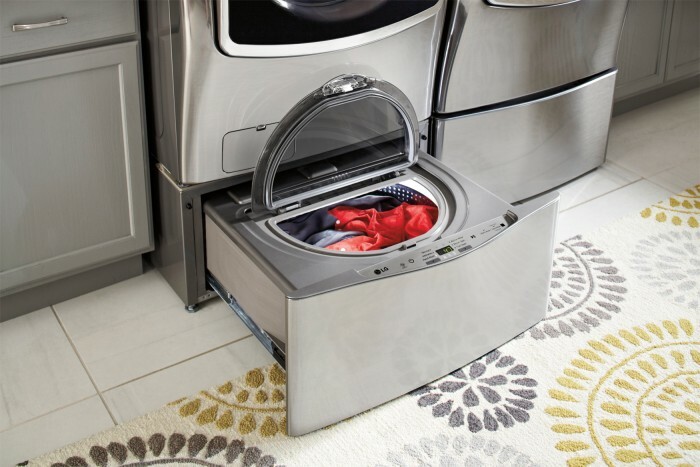 When you go shopping for your LG Front Load Laundry System, remember Best Buy Blue Shirts are experts in the benefits surrounding LG Front Load laundry. They will help you choose the right laundry system for your needs. I’m looking at this LG – 4.5 Cu. Ft. 12-Cycle Front-Loading Washer this weekend.